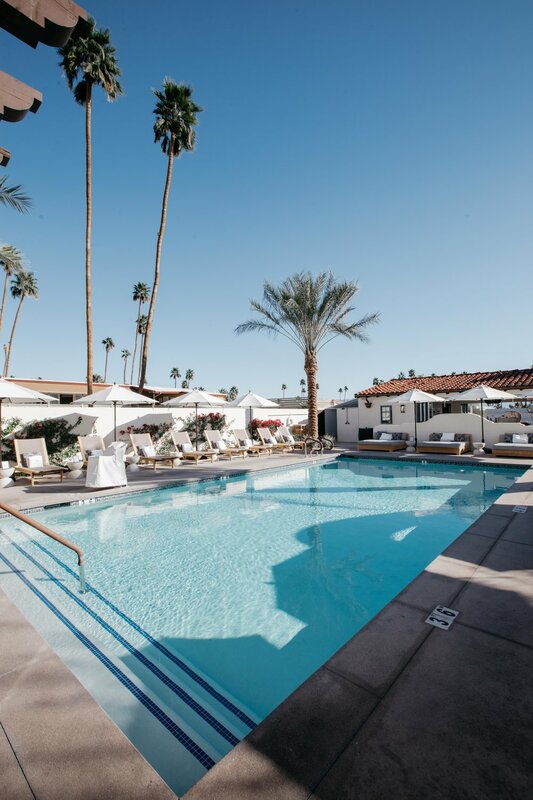 I finally think I have stayed in Palm Springs enough to put together a list of my favorite places to stay for you. I love Palm Springs for a few reasons. Whether you leave from San Diego or Orange County it only takes about two hours to get there. The drive always feels quick and easy and there is even a fun place to stop and take a quick photo of some dinosaur friends. 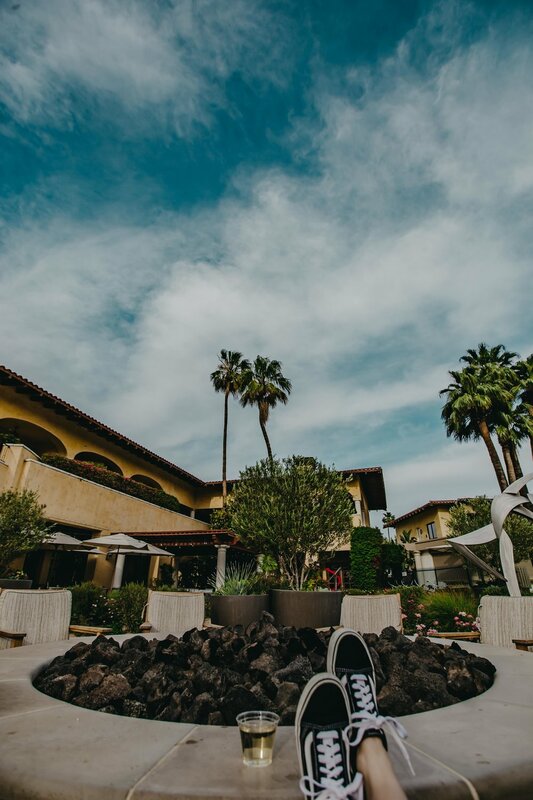 Whether you like to stay in boutique style or more mainstream hotel chains, I have compiled a list for you to check out below! Let's start with The Ace Hotel. - I would say this is your typical boutique style hotel in palm springs. Everyone knows it for its ultra-hip decor and wildly popular interior designs I'm sure you've seen spread across Instagram. I have personally always wanted to stay here because of said above things. I was not disappointed by my stay, they had everything I needed peace and quiet, mixed with a bar and some sunshine. Ah, another Instagram favorite. 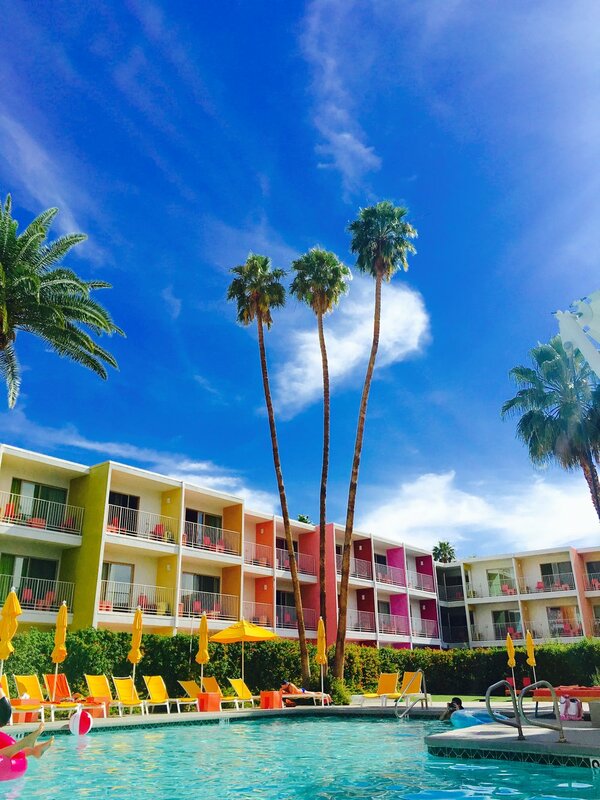 This hotel has all the colors of the rainbow splashed everywhere the eye can see. I personally love this place and would stay here over and over again. I love the colors and the scenery of this place. You can never take a bad photo here either! I like to think of this one as my hidden gem. It's 21 and over and is literally an oasis in the desert. I found it over the top in all the right ways. You get breakfast delivered to you every morning in the sweetest picnic basket and you have your own personal bathtub right out side. 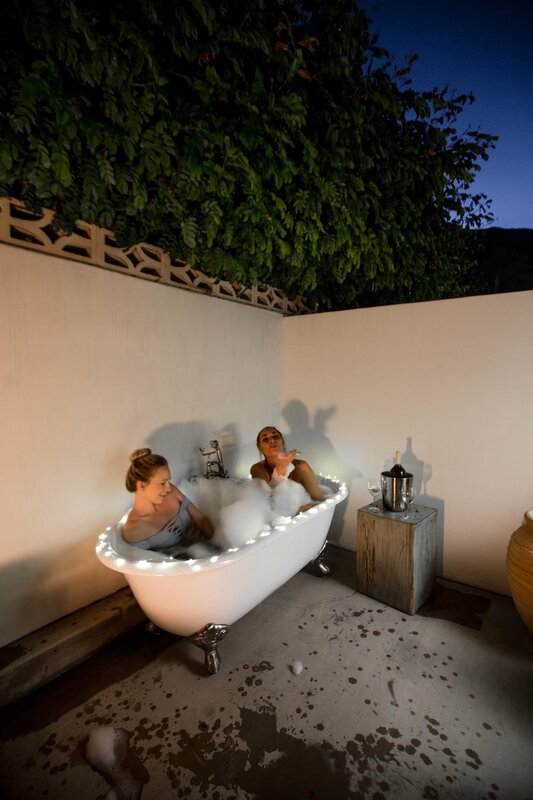 I loved this more than anything, I so enjoy being in the tub and what better way to enjoy it under the stars. 11/10 stars with out a doubt. This would be your typical "corporate" hotel. This property was hugely magnificent. It even had a Starbucks on site for you! If you're into golf there is a lovely golf course for you to play on or you can take a dip in the swimming pool. Again, another larger hotel for you. I enjoyed a long day by the pool here and Happy Hour starts at 2 and runs all the way till 6pm! This is another boutique favorite. I love'd the coziness of Arrive. Each little room felt like its own space. I love that you get a patio in front of your room if you stay on the bottom floor, it comes with a fire-pit too! I also throughly enjoyed the donut shop right next store as well as the ice cream place.